GoBHB™ is a patented ketone body called beta-hydroxybutyrate, a breakthrough energy supplement. When eating a low-carb diet, the liver converts fats to ketones, which satiate and serve as an alternative energy source for the brain, heart and muscles. With goBHB™, you are ingesting a ready-to-use ketone body, giving athletes and busy professionals more energy, performance, and focus. 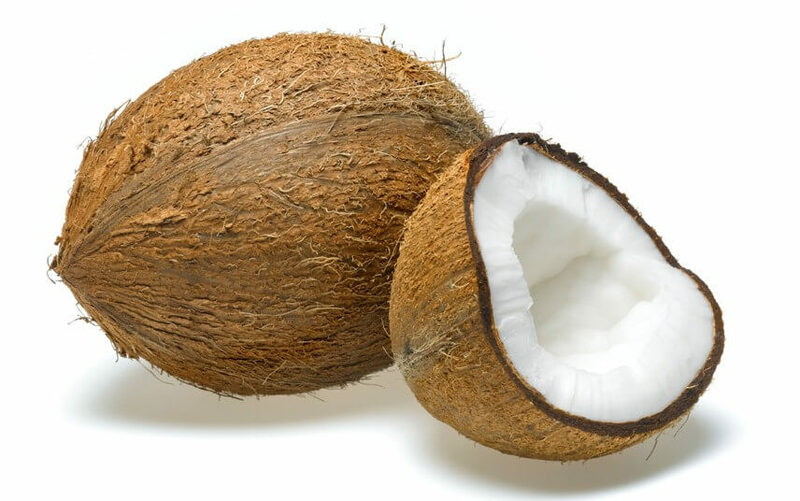 Medium Chain Triglycerides (MCTs), an extremely healthy fat. 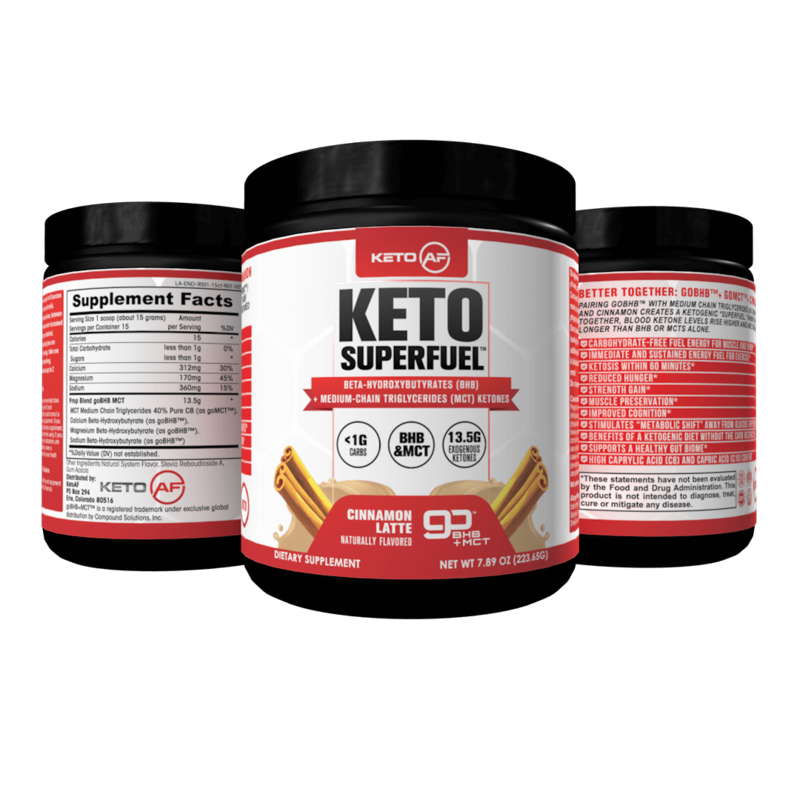 These fats convert to ketone bodies, helping athletes and busy professionals realize increased levels of energy, focus and performance. MCTs may also help with weight management. The addition of MCTs optimize ketone production, a less oxidative energy source. It fuels the body with healthy fats for natural and sustained energy without a “crash” later. It also contains acacia fiber, a prebiotic that aids in gut health. Together, MCT and acacia fiber optimize the gut-brain axis. 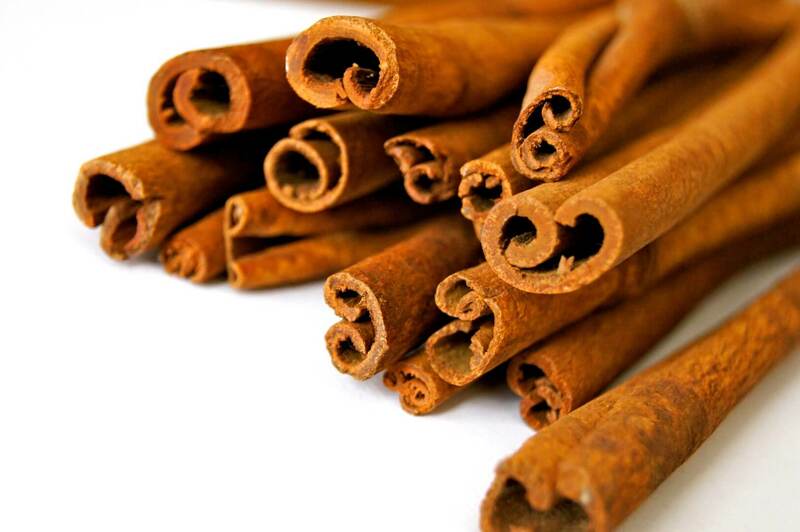 Cinnamon inhibits enzymes that block insulin receptors. 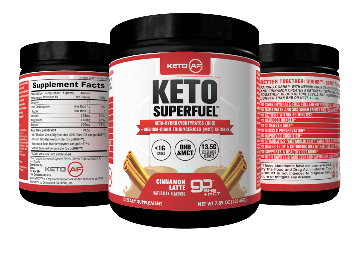 This not only regulates blood sugar levels for those already on the Keto diet but can also help burn fat*. Plus, it tastes great in almond milk, coconut milk, with coffee, or just water! This really helped me with endurance in lifting. I exceeded my normal reps fairly easily after taking this before I worked out. It also helped me focus and stay motivated at the gym. Rarely, in the world of powdered supplements, does one find a product that mixes well in water, tastes great, and is effective. Keto AF accomplishes all three. 1) TASTE. This stuff is fantastic! It reminds me of horchata. (Which is a long time favorite) Something which is strictly off of any keto/paleo eating plan. It kills the sweet tooth cravings. 2) MIXING. Keto AF mixes easily. It's marginally easier in room temp liquid vs. cold. That's not too surprising. Make sure you wash any residue immediately. Once it dries, it sticks. 3) EFFICACY. Full disclosure time. I haven't tested the efficacy by any scientific means. (i.e. ketone strips et.al.) However, I do feel quite satiated after taking this product. I have also noticed some slimming after only a few weeks of daily use both visually and by how my cloths fit. I have only used this once a day, though it says that it can be taken up to 3 times. My wife and I have purchased this twice. It has become one of our regular supplements. 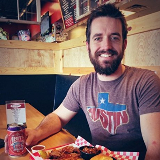 Richard - Results may vary from person to person. I thank you for making this product this is the very first thing that has worked for me in 7 yrs of hypothyroid and 3 diff doctors. I found a NYC doctor and helped over phone and talked about bone broth and keto, leaking gut. I found this and put it in my black coffee every day this is my 3rd shipment! IT IS WORKING FOR ME! WHOOT! 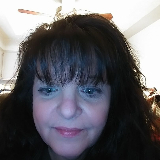 Sherri H - Results may vary from person to person. Shop with us today to get KETO AF! 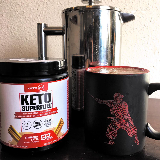 So what are some ways to use KetoAF Superfuel? In a Fasted state, Use in the morning for energy, satiety and cognition in place of breakfast. You can also “stack” with your morning coffee for superior mental and physical energy. Adding caffeine raises blood ketones, too! 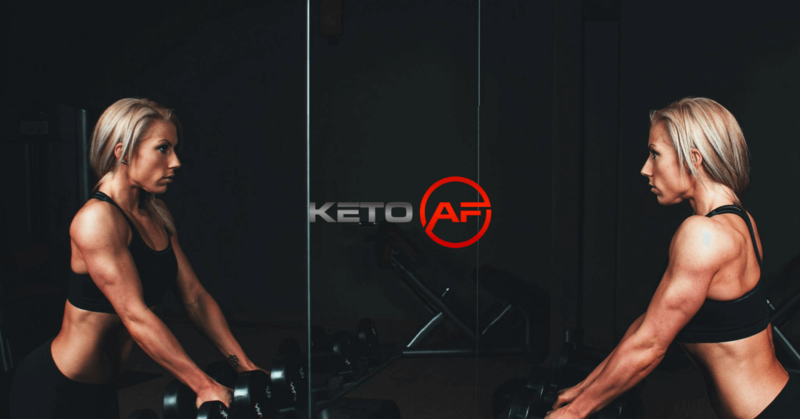 For those switching from a carb diet to a ketogenic diet, the transition is characterized by a so-called “keto fog” or “keto flu”. Your body hasn’t yet made the switch from burning carbs to burning ketones, so you have a low-fuel problem. Typically you feel lethargic and cognitively cloudy. 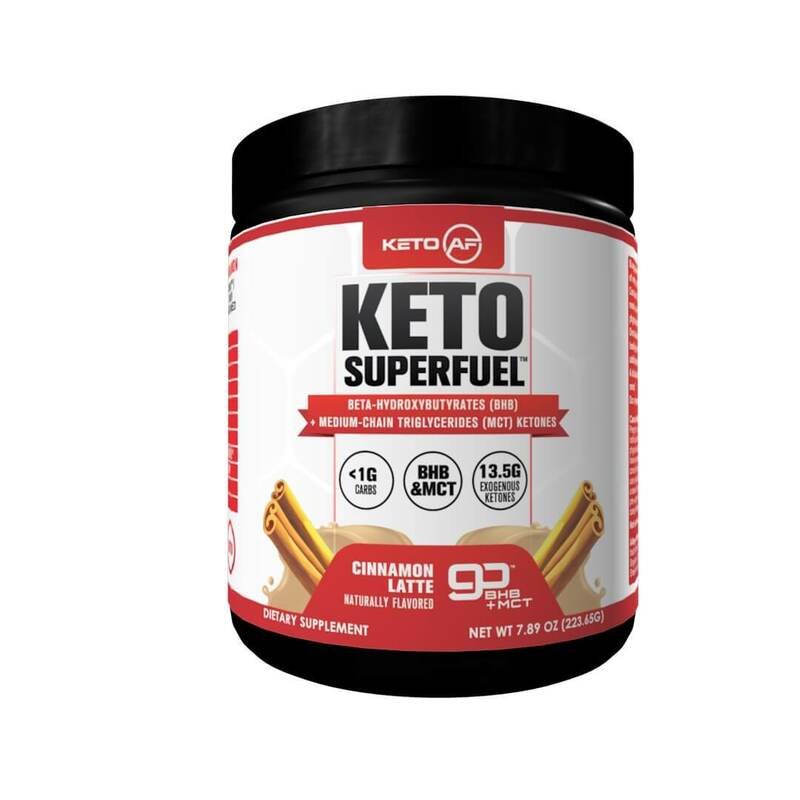 To bridge this transition, use KETO AF SuperFuel to quickly refuel with clean ketone energy. Before exercise or stacked with your pre-work. This even works for athletes who are not on a ketogenic or carb restricted diet. When taken before exercise, ketones can increase your endurance, recovery, and performance*. 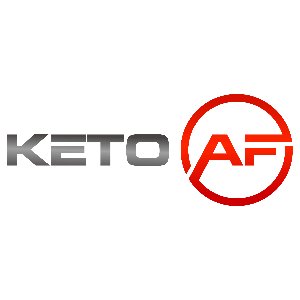 Try KETO AF out for 30 days and if it doesn’t work for you, you’ll get your money back! There’s absolutely no-risk in giving it a try. No questions asked, you can get your money back! 33% Off Spring Sale Plus Free Shipping - LIMITED TIME OFFER! For a Limited Time Only, Get 33% Off Plus Free Shipping! 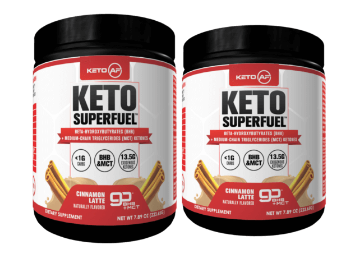 KETO AF SUPERFUEL x3, But 2 get 1 Free. Plus Free Shipping! Copyright © KetoAF. All rights reserved.